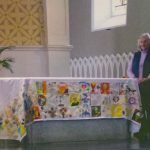 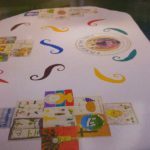 Betty Murphy who is the Secretary of the Carlow CGA branch made up this Altar Cloth for a mini eurcharist congress they held during Easter in 2012 in their Diocese of Leighlin & Kildare. 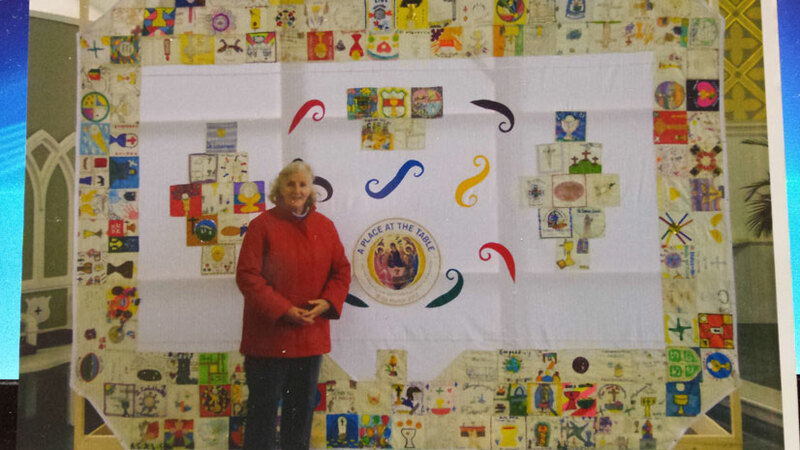 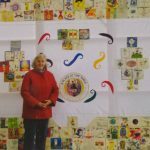 Faith Development Services under Maeve Mahon sent the 7 inch square cloths to the 73 schools in the Diocese of Kildare and Leighlin and the children coloured them in. 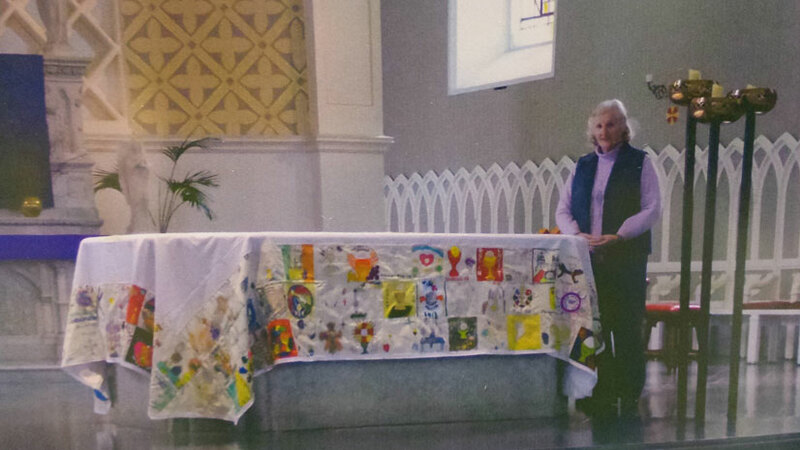 Betty then sewed on the 73 square pieces onto the Altar cloth. 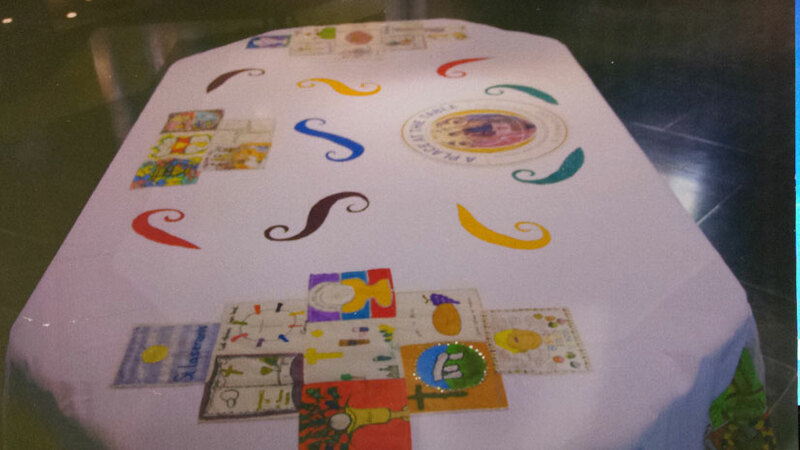 The Altar cloth which is now in Cathedral Carlow is used for Diocesan celebrations throughout the year.